The Dematamal Viharaya is a Buddhist temple with an ancient stupa, located in paddy fields near Okkampitiya village, halfway between Bundala and Maligawila. 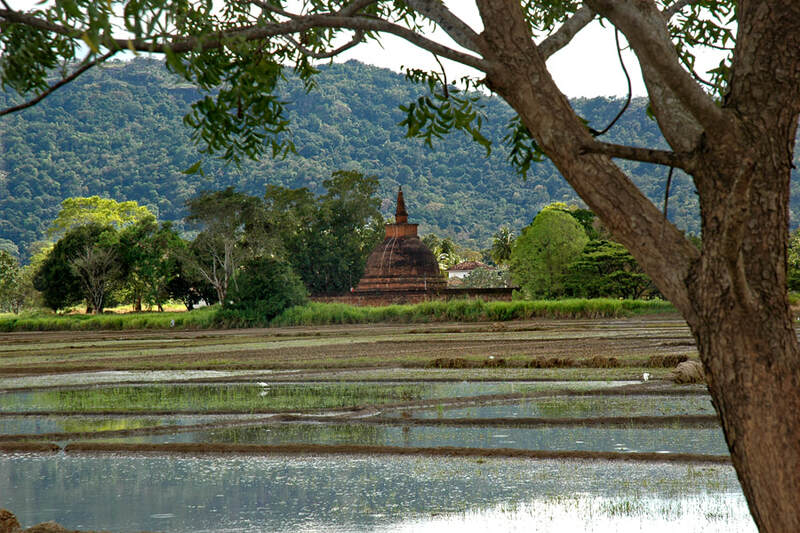 According to local legends, the temple was the hiding place of Prince Saddhatissa, after he lost his war of succession against his elder brother, Dutthagamani. With the help of the monks, the two brothers were finally reconciled. The aim of the reconciliation was bundling forces of the southern kingdom, Rohana, to launch a campaign under Dutthagamani's leadership in order to reestablish Buddhist reign in Anuradhapura.